Reclaim Yourself Women's Retreat : Reclaim Your Furniture! First off, I'm super excited to announce this and very excited for Sheri Parker and Carla Cunningham! Please join them and be one of the first to experience the soft opening of C&S Co-Up, Cooperative Upholstery. 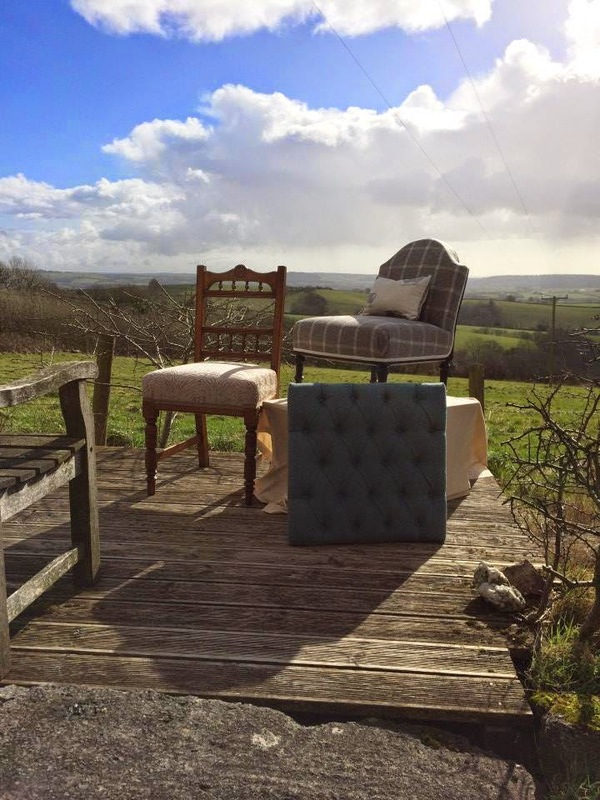 Sheri Parker spent eight weeks in Wales mastering the art of upholstery and now she would like to share that experience with you! The class is $100.00 and includes the kit to create your very own ottoman to take home that day, the use of all tools, and professional guidance. Afternoon tea (or hot chocolate) and treats will be served. You will need to bring one yard of fabric and a set of legs (or any found objects that you would like to use for legs). Invite your friends to sign up and share this fun new hobby together. There are just a few spaces available so do not delay. Call or text Denise Wilson-gamble at 801-989-6652 if you would like to join us for a day of fun! A deposit of 50.00 will be required via CC or PayPal. Sheri's a great teacher and knows her stuff! Sewing Retreat - Coming Soon! Pine Needles - Sewing Retreat - Sew Much Fun! Reclaim Yourself Women's Craft Retreat - Copyright 2014. Powered by Blogger.